There’s a host of new products out there that specialise in helping the older generation with deteriorating health. This is not a bad thing. But, when a product is not directed specifically at audiences in the higher age groups, age-friendly design is often forgotten or overlooked. With the average age of the world population on the rise, ignoring the needs of older consumers means that technology is becoming inaccessible to an increasing number of people. Our aging population begs the question: why aren’t we making age-friendly software? Here, we explore some of the most common conflicts between modern technology and aging, along with design choices that answer these conflicts. In the tech industry, most workers are in the younger generations. New technology is generally targeted at younger audiences, and the older generation gets overlooked. Yet we aren’t getting younger. Populations across the world, in fact, are getting older. In the UK last year, 18% of over 65 million people were 65+. In Japan, more than 33% are over the age of 60, and in the US, more than 15% of the population is over 65. These numbers are only getting bigger. By 2050, it’s estimated that a whopping 22% of the entire world’s population will be over 60. This is a staggering number of people to overlook when designing and developing software. And making age-friendly software needn’t mean driving away your younger audience. As we grow older, our eyesight deteriorates. Around or after the age of 40, a condition called presbyopia starts to set in. This is where the lens of the eye loses elasticity and hardens, making it harder to focus our vision on nearby objects – such as screens, for example. Presbyopia means that focusing on text or small buttons in front of you grows increasingly difficult. Because the cells in our eyes that recognise colour become less sensitive, it’s also normal for colours to fade when we get older, particularly the colour blue. 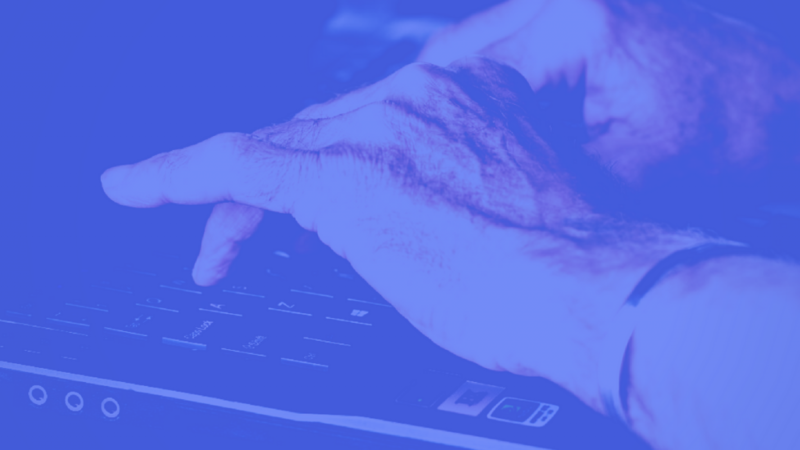 So, when interfaces are blue or in low-contrast colours, with tiny, nonadjustable writing, it can be extremely difficult for older users to see and interact with a software product or web page. Fortunately, there are age-friendly software functionalities and design choices that can reduce this eyesight blight. First, make any text in your user interface adjustable, so that a user can make it bigger (or smaller) as needed. The option for larger text makes the content of your software more accessible for those with deteriorating vision, by reducing the likelihood of it being too blurry to read. Second, make sure that any text and important features in your software are clear, with high contrasting colours. You could offer a choice of colour themes for your customer – which also allows them to personalise their experience with your product. Third, where applicable, make sure that your software can work well with screen readers. This opens your software up to users with even severe eyesight problems, so that nobody is left in the dark. Many people in older generations suffer from reduced motor functions and decreased eye-hand coordination. This can come from a host of reasons, from arthritis to Parkinson’s disease. When you have troubles keeping a steady hand, or moving your hands or fingers at all, controlling a mouse or interacting with small links and buttons can become frustrating. Even completing a simple action can take a high level of effort. While a mouse might be more accurate, touch-based interaction is easier. Tiny buttons, meanwhile, are the enemy across all software mediums. To fight this conflict in the creation of age-friendly software, we need to focus on the interactive features of software. Make your software navigable even with a shaky hand. This means that buttons, links and interactive elements should have clear, clickable areas and be spaced apart to help prevent mis-clicks. Plus, if you can optimise for a touchscreen, be sure to add this functionality for extra brownie points. Being part of the older generation can mean that parts of your memory aren’t what they used to be. A common issue is the decline of our working memory – the part of the short-term memory that handles the here and now, and the ability to combine and apply new information. There can also be a decline in the performance of prospective memory, which is the ability to remember to do things later. A struggling working memory can make it difficult to combine and apply new procedures needed to make a piece of software work. Meanwhile, a forgetful prospective memory can make completing tasks that need memory of previous actions maddeningly difficult and frustrating. So, when making age-friendly software, first be sure to introduce any new features and procedures gradually. This will help reduce the strain on struggling working memories. Second, avoid splitting tasks across different pages or screens. If a task within your software needs a user to remember a previous action, keep that information available for the user to refer to. If a process is long, provide reminders and clear indication of how far through the procedure the user is. Finally, for habitual tasks that your age-friendly software assists with, give the option to set reminders and alerts, to help users of all ages. The folly of overlooking the older generation in software and tech development is huge. These changes are all simple and practical, but they can make a world of difference for older users. It’s worth investing the time in accessibility for all ages. After all, making age-friendly software doesn’t mean shutting out younger audiences. It means inviting a fifth of the world’s population to engage with your product too. It’s time we all made software more accessible, easier to use, and customisable for every user, not just the younger among us.